Missed my alarm… However it was 6:05am so I still had a chance. 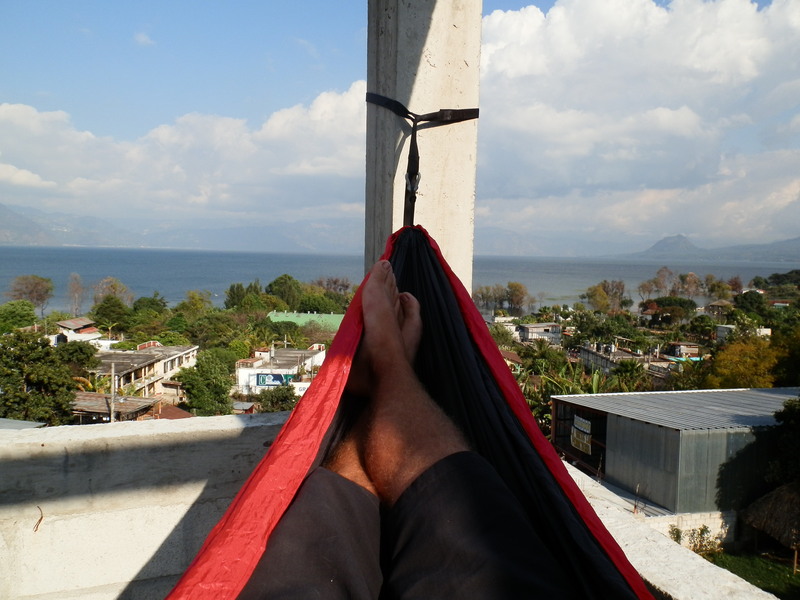 I was supposed to meet some local Guatemalan dude 5 minutes in the past to guide me up a volcano that morning. As I threw some chips and water in a little backpack I raced down the stairs of Guatemalan host family’s house in hopes to catch him. The moment I opened the door and exited my house a fairly poor looking local guy with a sparkling gold tooth walked up to me, pointed to the volcano looming over my town and asked me to pay him immediately. Now I knew this was supposed to be a 6 hour trek so I was a little hesitant at first to fork over the 100 Quetzales (Guatemalan currency) thinking, “Why I do I need to pay him now? 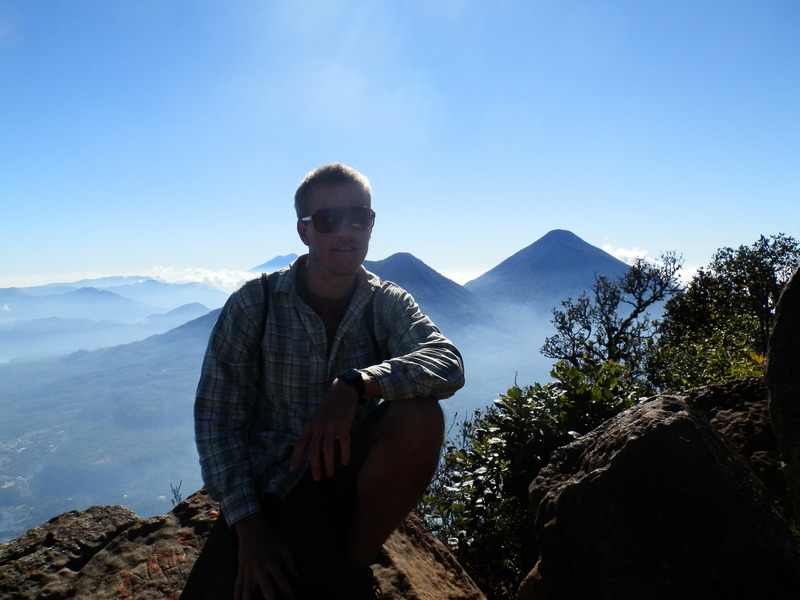 Is he just some random dude who walks around at 6am and looks for gringos waiting for guides, collects the money and disappears?” He sure didn’t look like a guide, but I went with it anyway and before I knew it we were chatting in Spanish making our way to the base of the big volcano. The air was crisp and after telling the local that I grew up in the great Rocky Mountains of Colorado and was used to high altitude he set a vigorous pace for our ascent. After a couple hours of chit chat, practicing my Spanish and walking through the dense forest I began to realize this was going to be more difficult than I had initially expected. Although I fancy myself a fairly fit young lad, the trail was a very sharp incline and virtually the same steepness as climbing large stairs for hours on end. Slightly regretting building myself up to be an “hombre de las montanas” (man of the mountains) as there was no way I could ask for a water break and keep my integrity, we kept the pace and began to climb higher and higher. My guide ran into a local coffee farmer who was making his way up the volcano and they began to converse in the local language of the area. What most people don’t realize about Guatemala is that Spanish is actually the second language in most areas of the country. 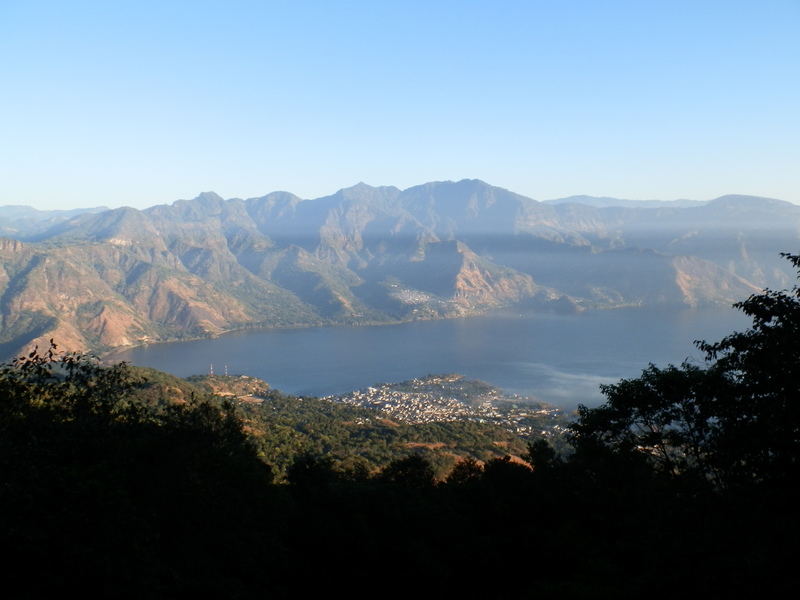 In the town of San Pedro La Laguna where I’ve been studying Spanish for the last 2 weeks, the first language of the people is called Tz’utujil. This is one of the twenty some different dialects of Mayan language, and one of the most different sounding languages I’ve ever been exposed to. Consisting of strange, exotic sounds in combination with these noises I can best describe as ‘clucks’ coming from deep within the throat, the language truly makes you feel like you are in another world. Listening to the bizarre clucks of the Mayan language, with my heart pounding in my chest and legs feeling like burning rubber, minutes turned to hours as we trekked up the 6,060 ft volcano. Rather than trying to take my mind away from the pain in my body I just embraced the moment, felt my muscles straining, heart working overtime and brain being overwhelmed by all my senses from the sights and sounds of a forest like none I’d ever seen. Our first real break was only 20 minutes from the summit where the guide showed me a flat area where some people come up and camp. As I sat down on an enormous log and tried to replenish the large amount of water that I had sweated out, I had a nice little moment of peace. Unable to see anything but thick, lush forest, I felt like I was in a scene from the movie Avatar watching birds play in the huge moss covered trees and immensely green fauna all around me. Eventually we made our way up the last steep bit to the summit of the volcano, and the moment the forest opened up to the view below I remembered why I liked to climb things. With quite literally a bird’s eye view of a large, spectacularly blue lake surrounded by perfectly shaped volcanoes protruding violently from the earth, the landscape was overwhelmingly beautiful. High above the clouds, I rested on a rock and let my eyes smile for a while. As I tried to snap many photos of the ridiculous view, I was affected by what is known as the ‘Alaska Effect.’ This phenomenon is when you attempt to photograph something that is so huge and beautiful it is virtually impossible to accurately portray in a simple photo. Eventually my desire to see something beautiful had been fulfilled and we began our descent conversing about international soccer, food and poverty. What’s interesting about many people from other countries is that they have absolutely no idea that the US has poor people in it. They often assume that everyone in the US is rich because the only Americans they meet are tourists with enough money to travel, and as MTV is hugely popular abroad shows like ‘Jersey Shore’ or ‘My Super Sweet 16’ brainwash them into thinking this is what normal life is like in America. This creates somewhat of a problem as many people in other countries idolize the United States and center their whole lives on trying to get there for a better life. It could be said that this contributes to our immigration problem and what’s sad is that many of these poor folks risk everything to go north only to end up in our country in just as bad poverty as they had back home. My guide was very cool, open and told me all about his life. Among other things he brought tourists up the volcano 4 times a week (at age 45 that’s a lot of strenuous work) for just a few dollars each time. 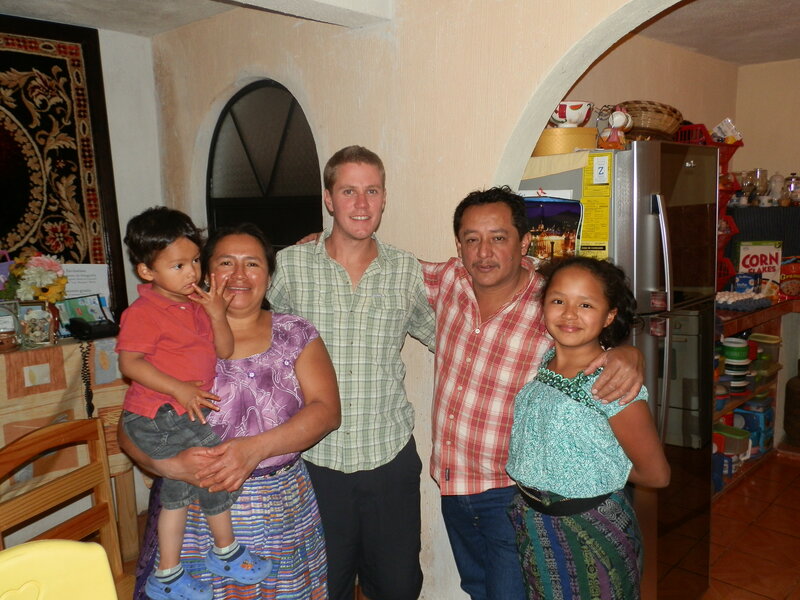 He came from a huge family in a small town in the south and had come to San Pedro in hopes to make enough money to feed his large family with the help of tourist dollars. Two of his younger brothers had been murdered in Guatemala City and although he was very kind and nice I could tell that this man was struggling. He kept talking to me about drinking beer and thinking we were getting along pretty well I offered to treat him to a beer to celebrate climbing the volcano. He obliged, but instead of taking me to a bar we went to a little convenience store in the center of town. I took two cans of Gallo (my least favorite of the local beers) out of the refrigerator and before I even had time to pay for them he had chugged his entire beer. Quickly afterwards he thanked me and took off, leaving me to awkwardly drink my beer as quickly as possibly alone in the store while people shopped and looked at this strange gringo who was choking down beer and covered in sweat just before noon. Eventually I returned to my house and sprawled out exhaustedly on my bed. My leg muscles were slightly shaking from the over exertion of summiting the volcano, but I was tired enough that I closed my eyes and almost instantly feel asleep. I awoke to a feeling like I’ve never experience in my life. My bed began trembling and over the course of about a minute continued until it was shaky fairly hard. As I gripped the sheets, terrified watching the furniture in my room jump up and down for a while I had absolutely no idea what was going on. Wondering to myself if I was experiencing an earthquake or perhaps ironically the volcano that I had climbed earlier was erupting, I just sat there too tired and confused to move. Eventually the shaking stopped, but I was too tired to do anything and all the walls in my room seemed to be in tact so I fell back asleep. An hour or so later I awoke and thought to myself, “What the hell happened a little while ago?” Not quite sure if I had experienced a natural disaster or just a dream I went to ask one of my housemates if he noticed the same thing. Luckily I hadn’t gone crazy and he had experienced the same frightening experience. We checked the internet and discovered there had been a pretty sizable earthquake near the border of Mexico and Guatemala. We had only felt a tremor of it, but I can tell you that having the ground beneath you shake is quite an unnatural and unnerving experience! Having climbed my first volcano and experienced my first earthquake in the same day, I will forever remember January 21st as Natural Disaster Day. 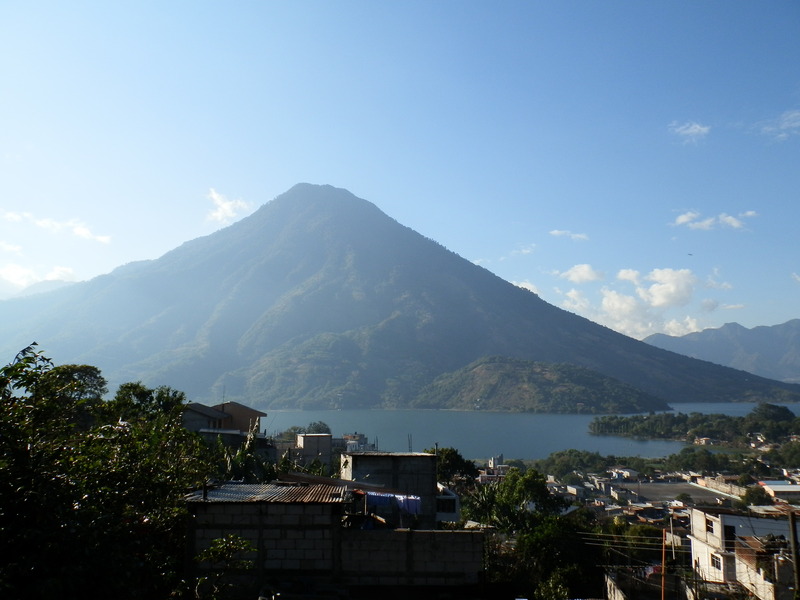 This entry was posted in Guatemala and tagged Adventure, Central America, Earthquake, Guatemala, Lake Atitlan, San Pedro La Laguna, San Pedro Volcano, Travel by verenico. Bookmark the permalink. Have you ever considered publishing an e-book or guest authoring on other sites? I’ve a blog based on the same info you talk about and would really like to have you share some stories/information. I understand my viewers would value your work. If you’re even remotely interested, really feel free to shoot me an e-mail.